MANILA, Philippines — Paul Desiderio had a quiet PBA debut. 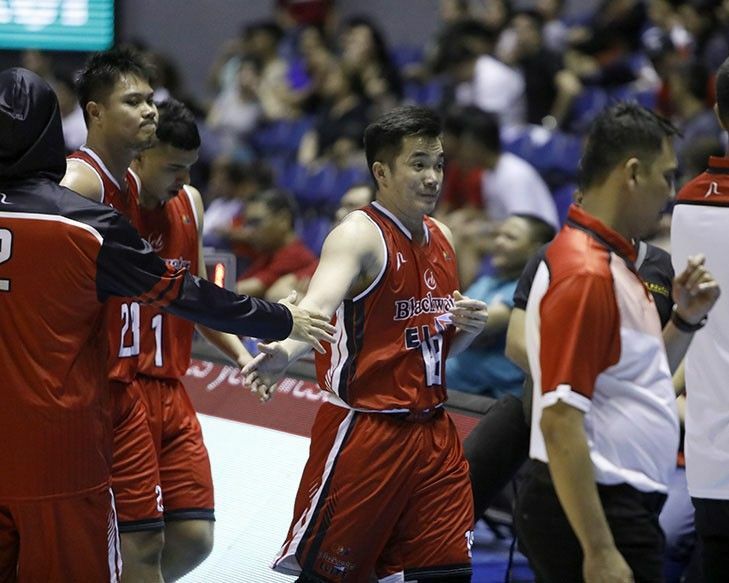 In contrast to fellow rookie and teammate Abu Tratter's 18-point outing last Wednesday, the former Fighting Maroon's five-point performance looked mediocre in Blackwater's 91-117 loss against the NorthPort Batang Pier. Elite head coach Bong Ramos had some advice for the rookie — "Kapalan mo mukha mo", he said. The tactician bared the statement in an interview on ABS-CBN's "The Score". Ramos said Desiderio had an arsenal of offensive attacks with his outside shot and work inside the paint. But if Ramos could criticize one thing about the Cebuano, it was his hesitation to play his own game. "Sabi ko, pag mahiyain ka mahihirapan ka umangat. Kapalan mo mukha mo" Ramos narrated. Elite veteran Roi Sumang also shared the same sentiments about the former UP standout and talked to the 5'10" guard after Wednesday's game. "Sinabihan ko talaga siya na 'Paul, kapag meron ka[ng shot], wag ka mahiya. Kung tira mo, tira mo'" He shared. Sumang added that he also gave the same advice to Desiderio's fellow rookie from Diliman Diego Dario. While jitters are normal for rookies, the Elite would be more than happy to get Desiderio out of his shell and into his "Atin 'to, Papasok 'to" mindset that helped him put UP back in UAAP glory. Desiderio and the Elite return to action tomorrow, January 19, when they go agains the Meralco Bolts at the Ynares Center, Antipolo.